As you might know, we’re pretty much like little kids when it comes to marine life and beautiful beaches, and the Gulfarium on Florida’s Gulf Coast amazingly combines BOTH!!! On a trip to Sandestin, Florida, we ventured out to the nearby Fort Walton Beach to visit the Gulfarium. We loved getting the chance to see dolphins from the underwater view, as we marveled at their amazing abilities, jumps, game playing, and athleticism! After being mesmerized by the dolphins, we wandered out to the outdoor exhibits and couldn’t believe the scenery! From the sea turtles to the penguins, stingrays, and sea lions, it was one adventure after another! At every turn, we were greeted with some sort of new discovery, with the beautiful coastline as a backdrop. What a great place for kids (and, well, everyone) to explore! Working our way along the path, we came across a small bay area that had FOUR great blue herons! Once we explored all of the outdoor sights, we visited the indoor aquarium exhibits. We were blown away at the great array of habitats and animals of the many different aquariums! 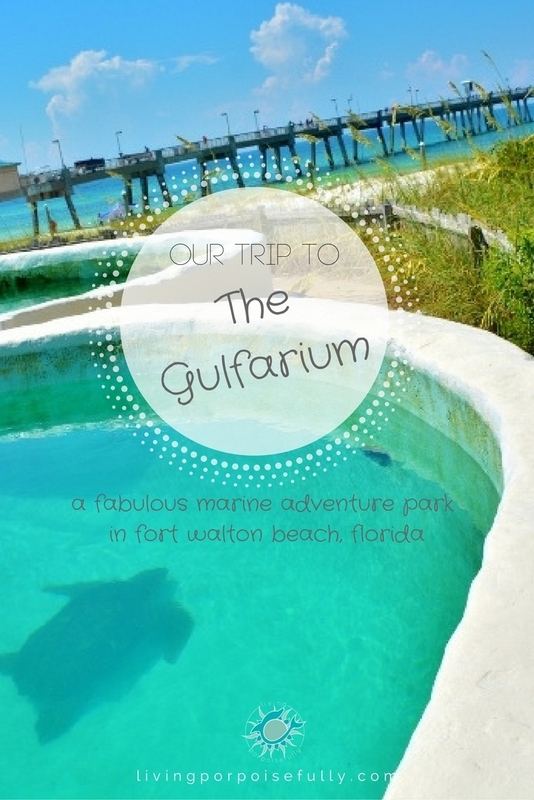 We loved how the Gulfarium combined marine education with a fabulous adventure to be had by all ages. It really immersed us in the fascinating ocean world, all with a setting sure to lower your blood pressure in each step. The Gulfarium is a great way to enhance your beach trip by experiencing the ocean world, whether you have kids to share the ocean with or are just in for an adventure yourself. We hope you enjoyed joining us and someday get to head out there yourself! P.S.- Want to see more of what to do in this area? Click here! Great photos! It looks like so much fun! Thanks for identifying the creatures in your.photos.